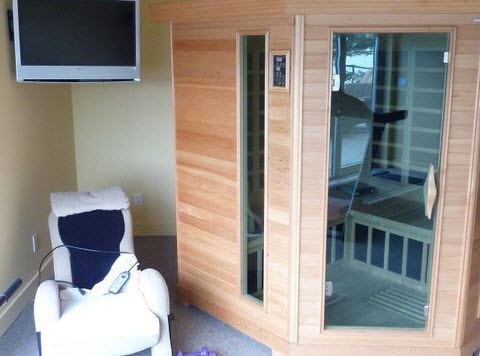 The Eagle suite and the Humming Bird suite are available May through October. A minimum of three nights’ stay is required. 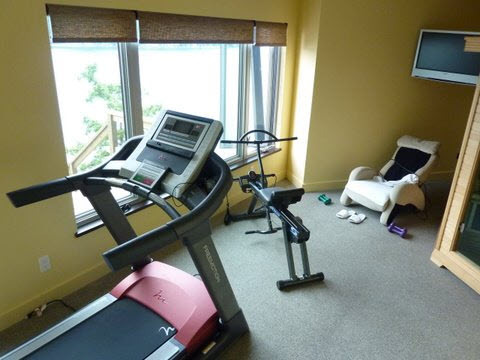 Both suites are double occupancy. 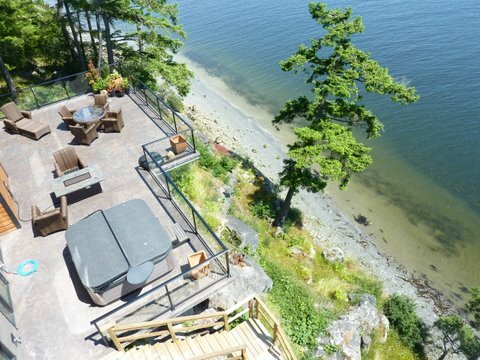 Overlooking Shoal Channel, the unparalleled panoramic view encompasses Keats Island, the Vancouver North Shore Mountains, Howe Sound, and Vancouver Island in one breathtaking sweep. 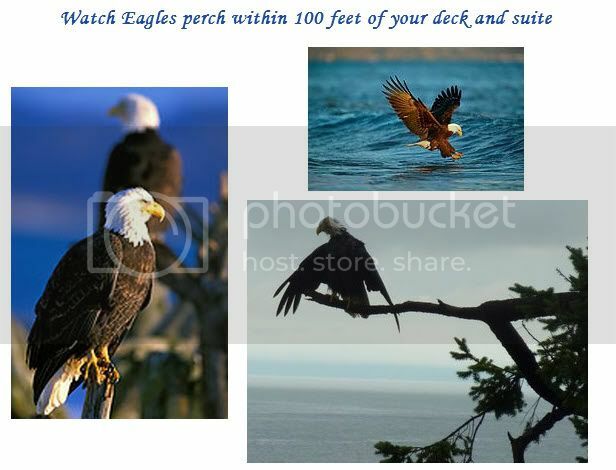 Eagles perch within 100 feet of your deck and suite. 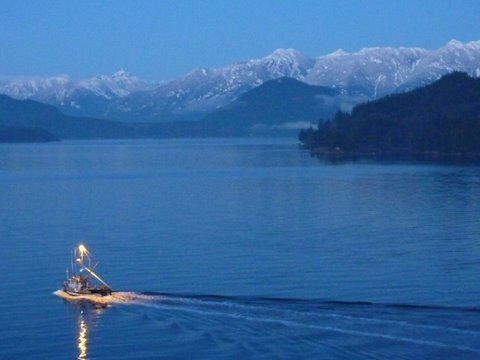 Ferries to and from Horseshoe Bay and the Sunshine Coast, and Nanaimo travel the passages to the east and west. Cruise ships dwarf the islands the yachts and ferries as they head up toward the Inside Passage and Alaska beyond. Your private suite includes a full en suite bathroom; a kitchen with fridge, stove-top and dishwasher; satellite TV; WiFi; king bed with foam-pillow top. Fresh local muffins, and coffee and tea are provided. Luxuriate in the hot-tub on the large common deck adjacent to your suite. 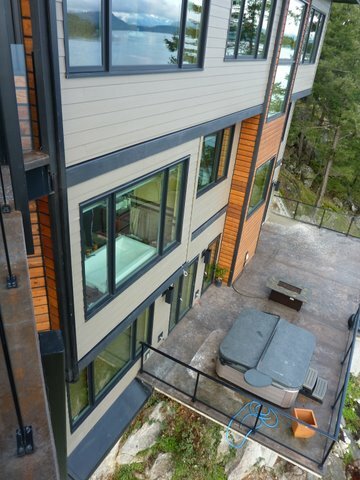 Enjoy the firepit, barbeque, and lounge furniture on the common deck. 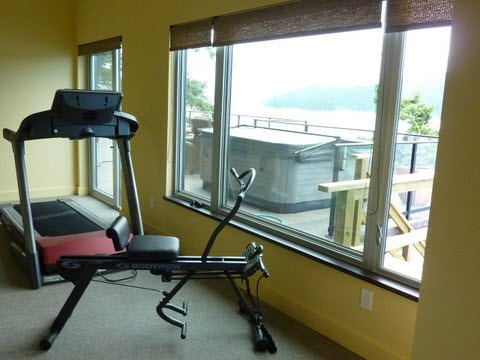 Practice your daily workout in the gym with a treadmill trainer and rowing machine or relax in the healthy infra-red sauna. 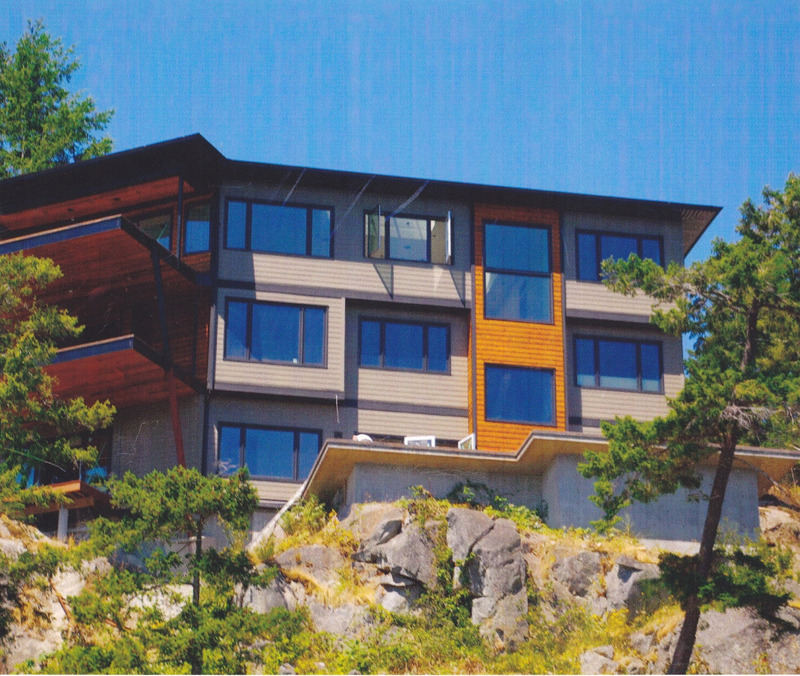 The resort comprises two suites on the lower floor of the magnificent house situated in one of the most scenic areas in Gibsons Landing. Built in 2010, the house is appointed with all the finest finishings and furnishings available. The decks are cantilevered out toward the ocean to give you the sensation of being on an ocean-going liner. Wildlife-watching is a favourite past-time of the locals with regular visits from seal, porpoise, sea lions and otters. The fortunate whale watcher may see a pod of Orca or even a grey whale. A grey whale returned to the Sunshine Coast beaches last summer, the first visit in over 50 years. 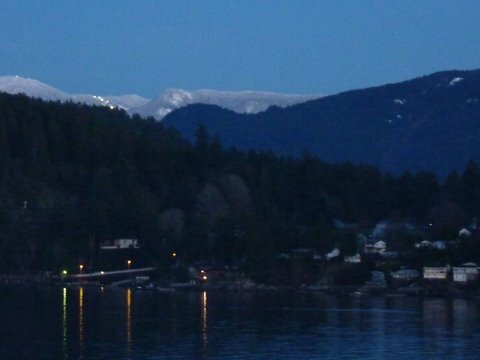 The town of Gibsons Landing, recently voted the best place to live with under 20,000 people, is a short 10-minute walk from your suite. This vibrant scenic village is known world-wide as a charming tourist destination, nestled around the working harbour of fishing vessels, yachts and recreational motorcraft. There is always an opportunity to buy the freshest seafood on the coast right from the local fleet. 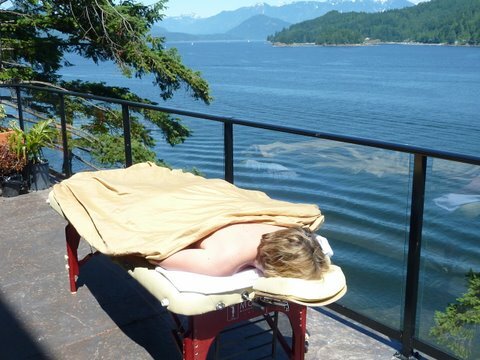 are some of the activities you will enjoy while staying in the area. 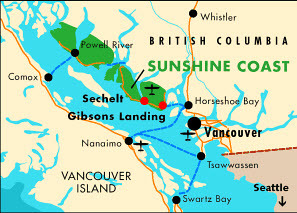 Access to the Sunshine Coast is provided by BC Ferries from Horseshoe Bay in West Vancouver, or from Comox on Vancouver Island via Powell River on the upper Sunshine Coast.